What They Say.....Jess Dunne is third-generation Hollywood, but her star on the boulevard has yet to materialize. Sure, she’s got a Santa Monica address and a working actress roommate, but with her nowhere barista job in a town that acknowledges zeroes only as a dress size, she’s a dead girl walking. What I Say....I really liked this book. A lot. It's a great debut novel by an author to watch out for, if you like complicated characters living complicated lives. Jess is kind of a mess. Actually a hot mess. She always seems either completely insecure or wildly overconfident. She quits jobs before she has other jobs lined up. She mouths off to her bosses, sometimes for imaginary slights rather than real ones. Kind of like people I know in real life. Jess's relationship with her mother is strained at best, totally dysfunctional at worst. Her mother used her childhood to try to continually upgrade their life. But although Jess tries to steer clear of her mother, she mimics the same behaviors in her own life, continually trying to upgrade to the better celebrity, better job, better friends. The book is a bit disjointed, messy and emotional, but intensely readable. 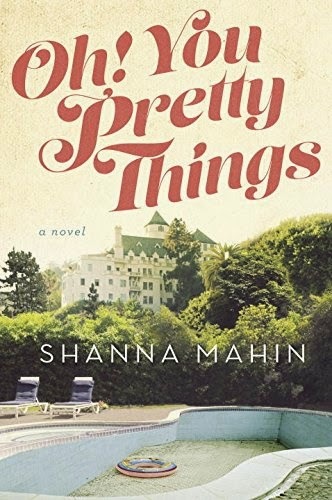 Shanna Mahin is a great new talent.